Sushi-A-Go-Go | Sushi Rolls | Austin, TX » Blog Archive » Oktober roll for October! « 1st Anniversary and 2nd Location Grand Opening! 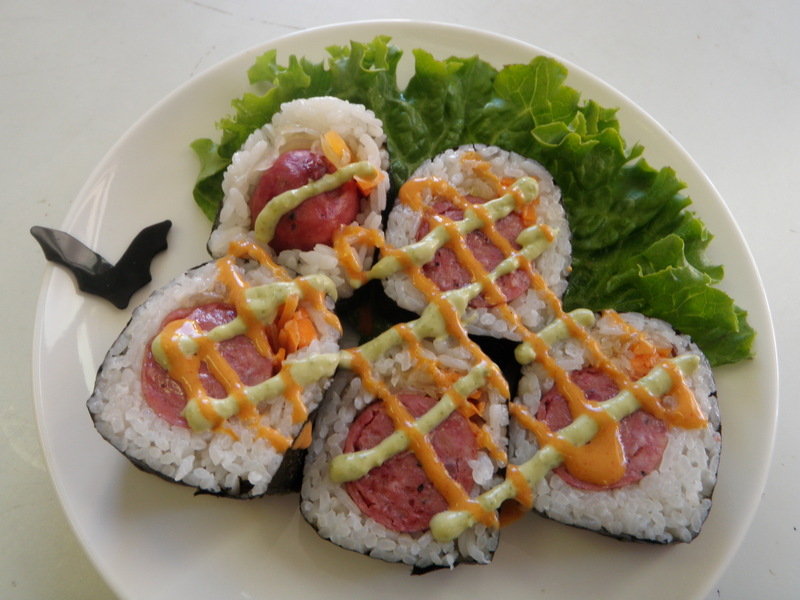 We have added our special “Oktorber Roll’ for Oct. I know it sounds crazy, but believe me, it is good! our original Go-Go sauce and Green Texas sauce. Comes with big 5pcs, and it’s $7!! This is available at both locations, 4001 Medical Pkwy and 801 Barton Springs Rd.